How to Add H5P Plugin to Blogger? H5P can also be integrated with various Wordpress and Drupal based Learning Management Systems including Moodle. But, did you know it can also be integrated with your blogger website or blog? 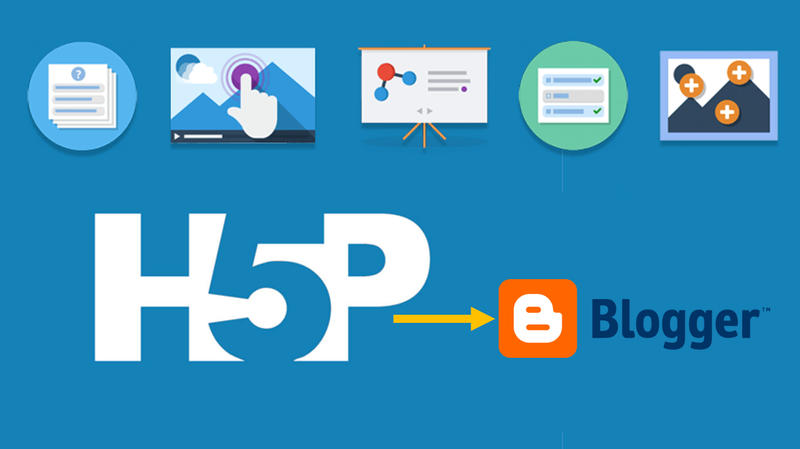 Before stumbling upon the way you can add it to your blogger website, let's see what can you do with H5P plugin. If you are an Instructional Designer and also running a website or a blog where you share your knowledge and experiences, do you think building your portfolio on the same website is a great idea? If yes! You can create interactive learning videos on H5P and publish it on your website. Let's know the step-by-step process of doing it. 1. Click here to reach the H5P website. 2. On the homepage, click "Create Free Account" option. Note: Click "Login", if you already have an account. Note: I have developed a rich animation based eLearning deck on MS-PowerPoint and saved it as an MPEG-4 video. I uploaded the same video on H5P video editor to add interactivity. You can also upload webm videos. 4. After adding the interactions, Click "Save" to save the video. 5. Your video is ready now. Click "Embed" option highlighted in the following image. 6. Copy the embedded link from the box. 8. Select HTML and paste the copied code. Please share your thoughts, what else can be done using H5P.